Tutus and kimonos and silks galore! These pictures instantly grabbed me on Pinterest- they fit perfectly with the lush greenery and blooming flowers that appear each spring. 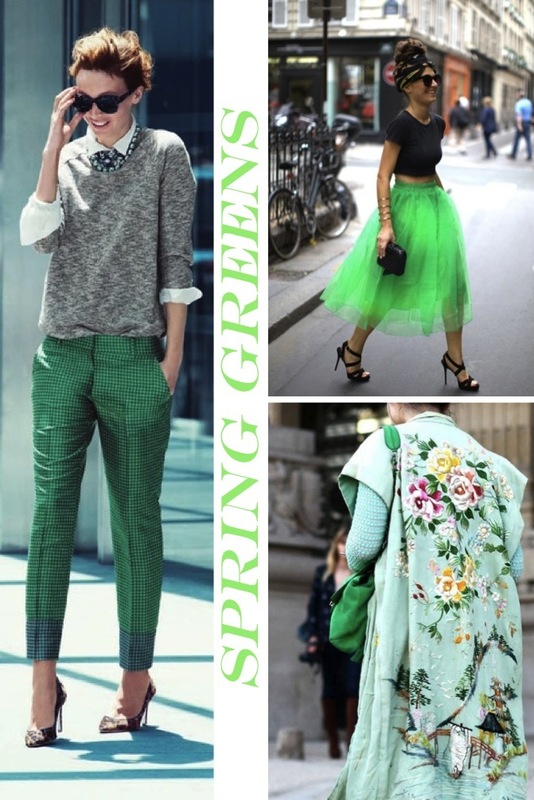 Green fashions are on my mind - either used to liven up basic black or as shades of mint and kelly green combined to create a colorful look. A couple of months ago I posted on mint handbags, but what about a mint green cropped sweater?? It seems like an obvious must;) If you were a lot of neutrals, kelly green accessories are a a great way to add some color pop to your outfit without feeling too out of your comfort zone. 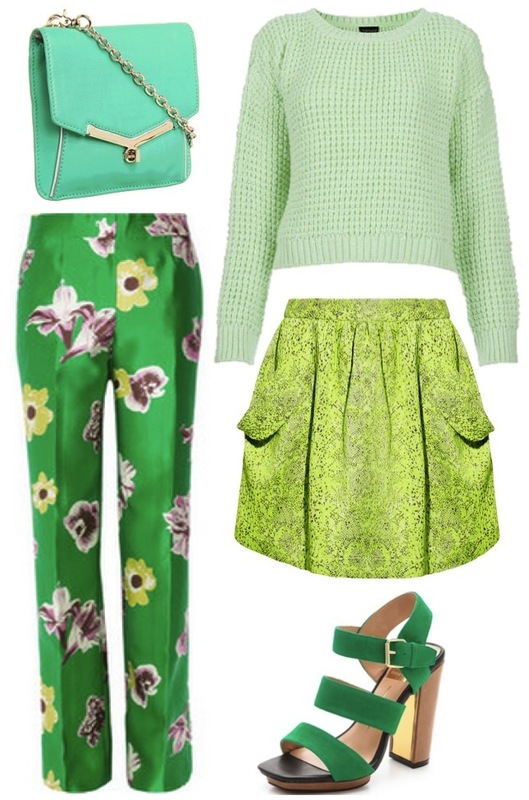 And now let's talk about greens fit for fashion queens: A neon jacquard mini skirt is definitely punk gone pretty and those silk wide leg floral pants are out of this world! Oh I love the spring color green! Great post! I like your blog. Maybe you can visit my blog and follow me. Love those J crew pants! I've had my eye on those J. Crew pants. The pattern and colors are amazing! Love anything green! That top green long skirt is to die for! I am a big fan of green, love your picks. a green tulle skirt!?!?!??! Yes PLEASE! I'm so loving this color too! great pics! oh that green tutu is to die for! This is honstly my favorite color in the entire world and I can't get enough. I'm totally digging that tulle skirt!! P.s. do you wnat to follow each other on facebook as well? I think I might be obsessed with those J.Crew pants! I love the green in every tone.. beautiful blog. If y want, take a look on mine..